Irving, TX this Thursday night! 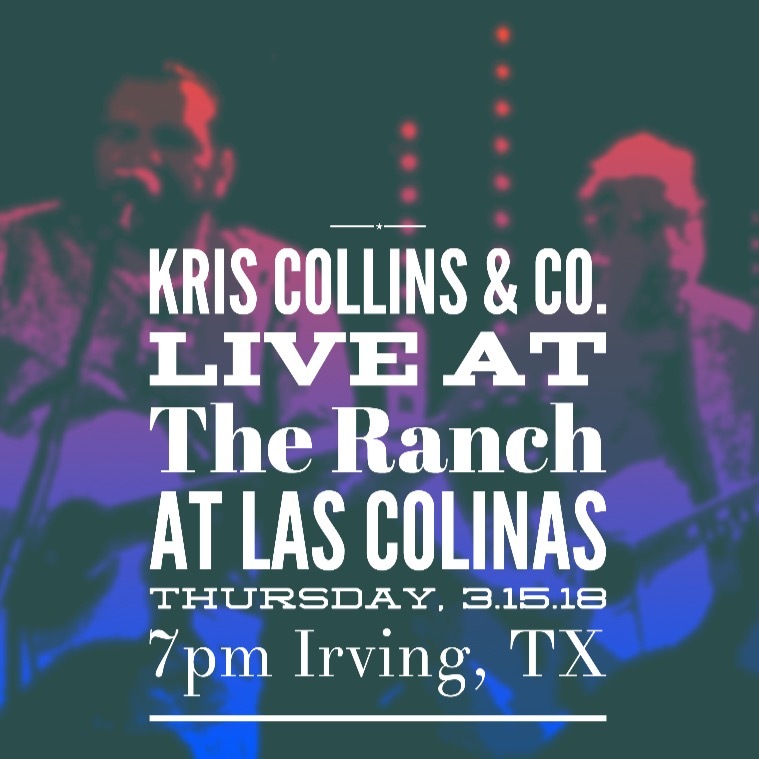 We're honored to be playing our first show at the Ranch at Las Colinas in Irving, TX this Thursday night! The Ranch is consistently ranked among the top places to eat in the DFW area. They also have a habit of bringing in some of the best artists from around the state. It's going to be a special night as we add Kris Collins & the Co. Men to that roster. We'll get started around 7 and go late so come on out and enjoy the cold beer, great food, and some solid Texas soul! Kris Collins & Co. back at the Patio on Richmond!